Please tell us about the document that preceded the Constitution. The Articles of Confederation formed America’s first federal constitution. It was framed in 1776 and 1777 but not ratified until 1781. The articles created a unicameral Continental Congress, which had no authority to legislate; it could not pass statutes. Its members generally served for only a few months at a time and went home often. The Continental Congress did much of its work by sending resolutions, recommendations and requisitions to the states. It assumed that the states would simply do the right thing for the United States. That assumption turned out to be terribly naive. Figuring out how to replace the articles was the challenge the framers faced in 1787. Although the United States is a relatively young country, we have the oldest written constitution still in use. What is uniquely enduring about the document? What’s uniquely enduring about the document is how deeply Americans are wedded to it. When Americans started writing constitutions in the 1770s, doing so was a new idea. 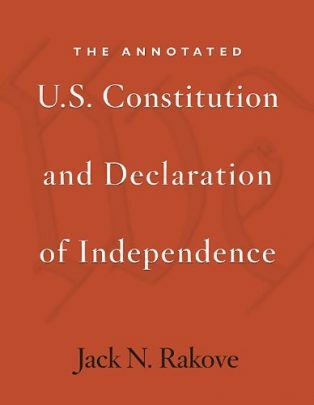 The idea of having a written constitution as the original supreme fundamental source of law was an American invention. Now most nations around the world, with a few notable exceptions, have written constitutions. But the United States remains uniquely wedded to our Constitution. We’re very reluctant to amend it. The idea of rethinking decisions made in 1787 scares some of us to death. So there’s a curious story: in the 1780s Americans expressed confidence in their ability to devise new institutions of government as a supreme act of political wisdom, but today we are unable to imagine how we could ever improve upon what the framers did. Why is the history of the framing and ratification so important to everyday Americans? Americans don’t define citizenship in terms of religion or ethnicity. Instead we define ourselves as a people who believe in the principles laid out in the Declaration of Independence and in the form of government created by the Constitution. The story of how those documents were written matters a lot to who we are as people. The American Constitution regulates what our institutions of government can do. It forms our understanding of how the presidency, the Congress, the Supreme Court and the federal courts function in association with state and local governments. A number of legal traditions derived from English and colonial practice still shape our basic ideas of governance. But the Constitution remains the supreme fundamental source of law in the United States. Would you make clear the relationship between the Supreme Court and the Constitution. Article III of the Constitution gives Congress the authority to create a judiciary, but the only court the Constitution specifically created was the Supreme Court. For the last two centuries, Americans have argued a great deal about how much authority the Court has over the Constitution. In 1787, I believe, the framers of the Constitution generally assumed that the Court would have the authority to enforce constitutional norms against problematic acts of government. The Supreme Court and the federal courts created by Congress are authorised to measure acts of government against constitutional authority. That’s what we call judicial review. There’s also a further argument which holds that the Court is the final, ultimate arbiter of what the Constitution means. That position – called judicial supremacy – is an issue we continue to argue over. But the idea that the Constitution is peculiarly the province of the Supreme Court to enforce is something that’s deeply embedded in American government. Now that we’ve done the groundwork, The Creation of the American Republic tells the birth story of the Constitution. Please give us a précis. I remind my graduate students that Gordon Wood prepared The Creation of the American Republic as his doctoral dissertation, just to scare or, hopefully, inspire them. The fact that so much research and intellectual sophistication went into a PhD thesis is one of the staggering facts of modern intellectual life. 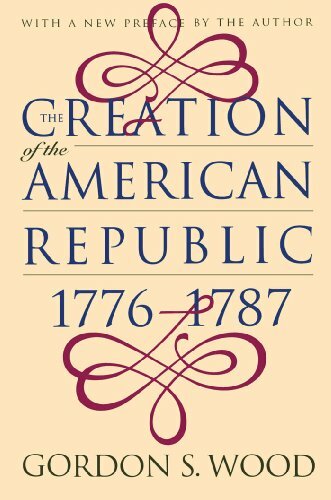 The Creation of the American Republic established that the history of constitutional invention in America did not begin with the convention of 1787. The process of constitutional invention took off in 1776, as Americans were moving to declare independence. As the colonies became states, they had to create governments anew because their old forms of government had significant royal elements to them. So to replace colonial charters they wrote new constitutions, which said specifically what state governments could do and how they would be structured. Wood shows that there was this rich body of experimentation going on at the level of state government. 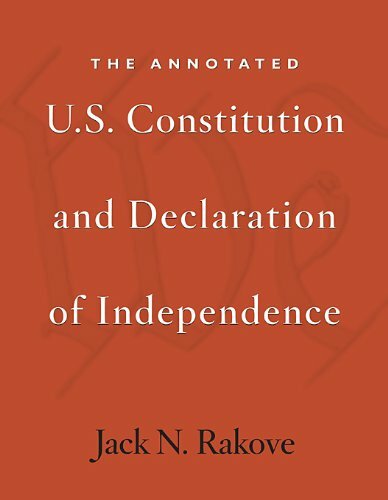 He then identifies, traces and explains all the changes – some gradual, some significant – that took place in American constitutional thinking between independence and the writing of the federal constitution. 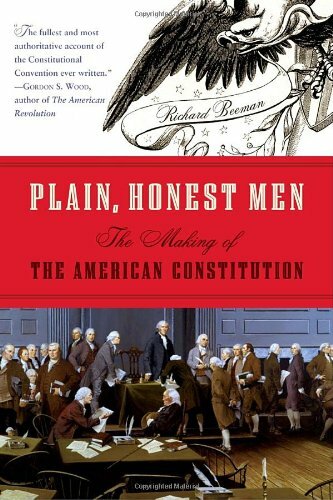 In 1786 and 1787, when it became evident that the nation needed a new federal constitution, the experience of the states provided a real source of information, arguments, experience and inspiration that the framers in Philadelphia drew on quite deeply. What was the biggest open question left by the final draft of the Constitution? I think the nature of the presidency was the biggest issue. There was no real model at that time, anywhere in the world, of a republican presidency. Americans were rejecting monarchy and what we now call ministerial government, meaning the cabinet form of government that was evolving in Britain. They wanted to have a president who was constitutionally independent of the legislature, but not so powerful as to be a potential despot. They didn’t know what kind of influence and authority the president would be able to acquire or need to exercise. They had no satisfactory ideas as to how the president was going to be elected, so they settled on the electoral college system. 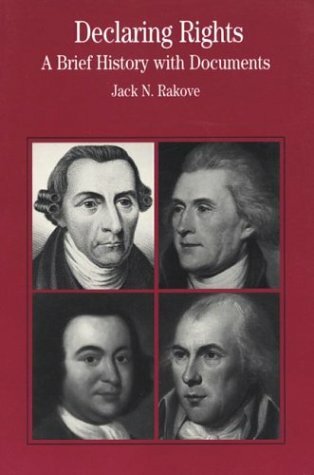 So I think the single largest issue that the framers left open was the question: “What will be the nature of executive power in a national republic?” Since then, American politics has been, in many respects, the story of the construction of presidential power. Were there bills of rights in state constitutions? There were bills of rights attached to some, but not all, of the state constitutions. In 1776 it was not clear if these statements of right were meant to be legally binding or who would enforce them. They preferred the language “declaration of rights”. There’s significance in the distinction – a declaration might mean a set of principles you’re affirming rather than a set of legal rights you’re granting. Between 1776 and 1787 Americans started to think of declarations of rights or bills of rights as having more legal authority. By the late 1780s there’s more agreement that bills of rights should list a set of legal rights that someone, presumably the courts, would be responsible for enforcing. 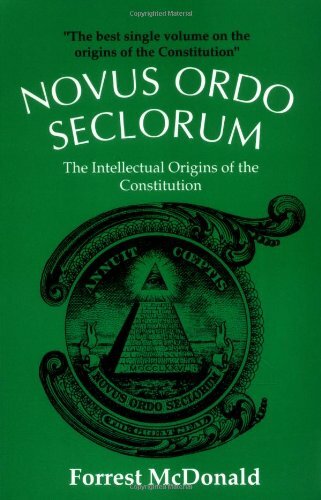 Let’s move on to Novus Ordo Seclorum. Forrest McDonald paints a different picture of the intellectual ferment that surrounded the framing. Tell us about it. McDonald’s book traces the different sources of intellectual influence that worked on the framers in Philadelphia. He has great background chapters where he describes dominant modes of thinking in the 18th century. He’s got a great chapter, for example, on the nature of law. He has other discussions of how people thought about political economy, meaning the role of the state in managing economic affairs. So he creates a deep intellectual background for the world that the framers inhabited. Then he assesses which authors exerted influence on particular framers. I’m not persuaded that McDonald’s method of mapping intellectual influences works as well as he thinks it does. For example, there is enormous debate about the extent of David Hume’s influence on James Madison. Scholars have been arguing about it for 70 years, but McDonald is an avowed Hamiltonian and finds it hard to take Madison too seriously. Can we safely generalise about how Enlightenment political theory informed the framing? There’s no easy way to do it. The framers and the founders were definitely part of the Enlightenment. 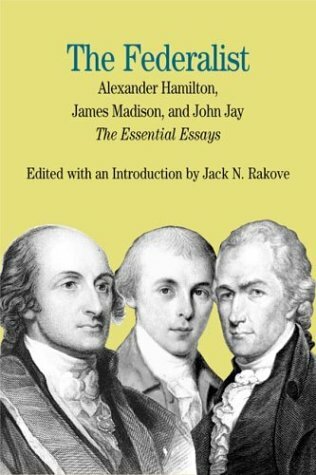 James Madison, Thomas Jefferson, John Adams, Alexander Hamilton were extremely well read. As provincial intellectuals, aware of their distance from contemporary centres of thinking in Europe, they consciously tried to absorb knowledge. On the other hand – and this is what a lot of my own work is about – they also lived through a revolution. 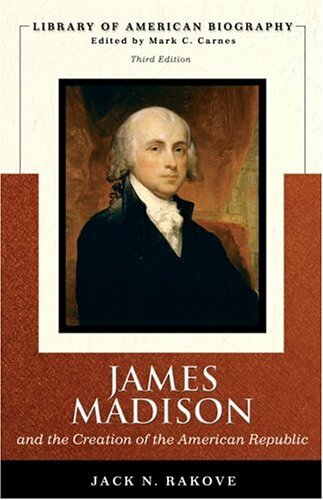 Many of them, particularly Madison, were profoundly convinced that what they had learned by experience was far more valuable than anything that they had ever read. We know a lot about the federal convention because Madison assigned himself the task of taking daily notes about what was said. And we know a fair amount about many or most of the authors of the Constitution. So we can reconstruct a narrative about how the Constitution was framed day by day, issue by issue. Rick Beeman does that very successfully. Framing a constitution through this kind of convention was a great novelty. Most of the state constitutions, which had been done a decade earlier, were written quickly by delegates who had other duties to perform. Delegates to the Constitutional Convention came to Philadelphia from 12 of the 13 original states and sat together, sealed up in Independence Hall, from May through September. Some of the delegates spoke very little, about 15 were active speakers, others sat back and absorbed or seemed terribly bored. They came in good moods and bad. Some ate too much for lunch and napped in the afternoon. It got pretty hot in the hall. Reconstructing what it was like, week by week, to draft a new federal plan makes a great story. It seems that two centuries ago the framers were unable to resolve contentious issues that are still being litigated today – disagreements over guns, freedom of speech, separation of church and state. What is the Constitution’s legacy on those issues? The Bill of Rights was framed as a postscript to the Constitution. Once ratified, the Bill of Rights did not see much action until the 1920s. So it was important to the politics of ratification but was applied only against the national government, which didn’t do that much. Most government in America took place at the state level. It was not until the aftermath of World War I that the Supreme Court began applying the Bill of Rights against the states. 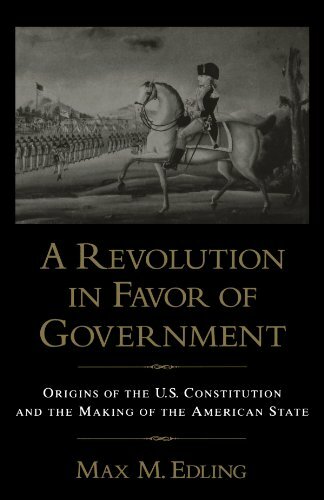 Next, A Revolution in Favor of Government revises our understanding of the Constitution. How? Max Edling, a young Swedish scholar, who has just finished a sabbatical at Stanford this year, did this book originally as a doctoral dissertation in England. For a foreign scholar to write a thesis that significantly shifts how established scholars think about the American Constitution is quite a feat. Max Edling restores the Hamiltonian part of the framing story. Most scholars, myself included, have privileged James Madison, who was most concerned about the protection of rights and the proper structure of constitutional government. Edling explains that Alexander Hamilton and a group of other men who had served in the Continental Army, were concerned by the weakness that the American government demonstrated during the revolutionary war and were deeply aware that Great Britain, our former colonial master, was advantaged by having the most efficient state in the Atlantic world. Their view of the dangers that the United States would face as a new republic shaped the framing. 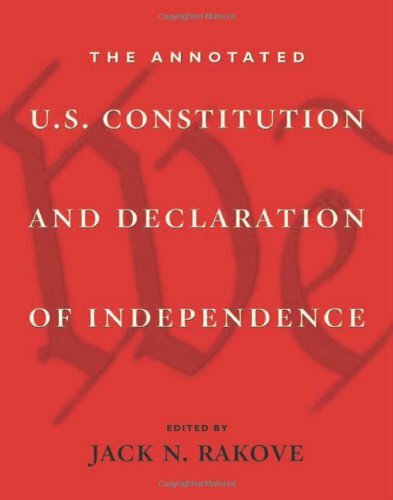 Gordon Wood wrote of this book: “It helps us better understand the constitutional sources of the gigantic fiscal-military state that the United States has become.” What does Wood mean? Under the Articles of Confederation, Congress had no genuine independent sources of revenue; it had to ask the states to collect taxes. Hamilton and others saw that this was a terrible way to run a national government, particularly in wartime. The Constitution gives Congress an almost unlimited authority to tax. It deepened Congress’s authority over the army, the navy and even state militias. Hamilton and those around him understood how important it was to put the United States Congress in the position to act efficiently and effectively. 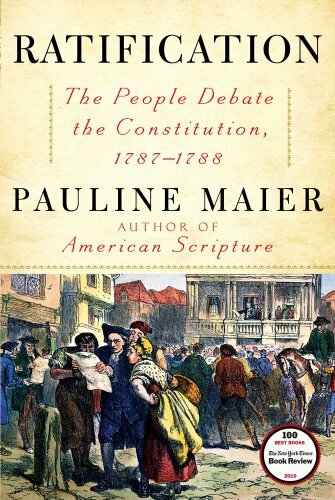 Pauline Maier picks up the story of the Constitution from the time of its framing with Ratification. Please tell us about it. The story of how the Constitution was ratified is just as remarkable as the story of how it was framed. By the end of 10 months of public debate, each of the 11 states that originally ratified the Constitution had independently adopted it. States could recommend amendments, but the only binding action they could take was to vote the entire Constitution up or down. Comparing that process to what Europeans have been going through over the last decade with the EU constitutional treaty makes you think the framers were geniuses. They came up with a remarkably efficient way to get the Constitution adopted. It required a lot of debate and a lot of political manoeuvring but it was ratified in less than a year. Until Pauline Maier published this book, that story has never been well told. There have been examinations of particular state debates. There was one older narrative, which was adequate. But no one has looked at ratification as comprehensively. Recently, the Historical Society of Wisconsin compiled some 20 volumes of ratification debate records. Maier uses those records cohesively and effectively. She tells a great story. How did the Federalists win the day? They won the day in various ways. Under the Articles of Confederation you needed all 13 states to approve amendments. The framers of the Constitution said, “We’re only going to require the approval of nine states to replace the Articles.” Since state legislatures might lose power under the new Constitution, the ratification went through constitutional conventions rather than legislatures. It was a gimmick that worked. Ratification got off to a good start. The Federalists got six states to ratify within the first few months of debate. They made one big mistake in Pennsylvania, which was the second most populous state at the time. The Pennsylvania convention was divided into two parties: two-thirds of the members were Federalists who supported ratification; another third were anti-Federalists who opposed it. The Federalist majority rode roughshod over the anti-Federalist minority. That played poorly in the press – it looked as if the Federalists were being overly manipulative and insufficiently democratic. Criticism of what took place in Pennsylvania helped make the overall process of ratification elsewhere fairer. Furthermore, Federalists didn’t control all the press but they did dominate it. They got George Washington and Benjamin Franklin on their side. They capitalised on the prevailing sense that the Articles of Confederation, which came into effect towards the end of the Revolutionary War, were riddled with problems. Whatever controversy there might be about particular provisions of the federal constitution, it seemed more promising than the Articles. Maier walks us through the debates, one by one, so we understand how the politics of ratification played out within individual states. If you read Maier, you get to see the complexities of what happens when citizens are given the opportunity to discuss their national constitution. In the two centuries since ratification, the Constitution has often been interpreted in light of the ratification debate records. Do you think that’s historically sound? Most historians are very sceptical about the way that the Supreme Court is doing this. To reason accurately about the past is much trickier than one might think. The current version of originalism is what’s called “public meaning originalism”. It says we don’t really care about the history of how these provisions got adopted, we’re not going to try to reconstruct the debates to figure out what the framers wanted and what the ratifiers thought. We just want to get at the holistic meaning of the language. To historians this is a terribly flawed enterprise, but that’s the current regime. Can you explain why that enterprise is so wrongheaded? Language is dynamic. As the work of many historians, including my own work, attests, the 18th century was a period of political experimentation. The framers were rethinking the nature of representative government, they were rethinking the nature of executive power, they were coming up with new rules for judges. All this required a terrific amount of creative political thinking. The idea that language was fixed when all these ideas were being stretched and pressed in different directions, the idea that the meaning of a text is frozen at the moment of its adoption, it just strikes most historians as inane. What can we learn about interpreting the Constitution by reading your Pulitzer-winning history of the framing, Original Meanings? The best way to reconstruct the original meaning of documents that we still interpret today is to come up with a method of analysis that looks very carefully at different sources and how much those sources are worth. The framing debates involved a relatively small group of men deliberating on a day-to-day basis. Once the Constitution was published, anybody could say anything about it. The ratification debate was just as wide open as our own political debate, quite different from the closed-door debates that occurred within Independence Hall as recorded by James Madison. In my book I spend a lot of time distinguishing the original intentions of the framers from the original understandings of the ratifiers. I try to explain why any intelligent analysis of the Constitution’s original meaning would have to look at both and think critically about each form of evidence. I try to give the historian’s answer to the lawyer’s question. I submitted a brief in the District of Columbia vs Heller case, from three years ago. That was the case in which the Court struck down a 32-year-old handgun ban as incompatible with the Second Amendment. I think there are intellectual embarrassments of the first order in Justice Scalia’s opinion. He wholly ignores the history of how the Second Amendment got adopted. He makes things up that did not happen the way he hypothesises. But I’m a historian and he’s a justice. I’m a private citizen and he’s a public official. I think I have better footnotes, but he has a vote on the Supreme Court.